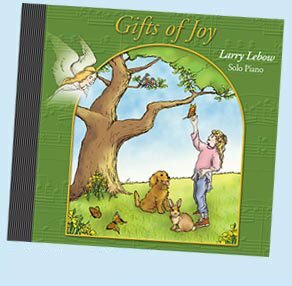 This music was inspired by Larry's experiences in animal communication and his contact with Spring Farms CARES, an animal sanctuary and center for the teaching of interspecies communication. The song on these recordings have been described as a cross between New Age and Classical. Although very relaxing, there's much more to this music. These songs range from bright and fun… to deep and serious… and everything in between. It's the kind of music that strikes a chord in your heart, picks you up and leaves you with a sense of pure joy. The music keeps growing, exploring new paths and opening new vistas. With help from other beings and spirits, Larry and Monica keep finding new compositions, as well as discovering songs long within their hearts, waiting to blossom once again. 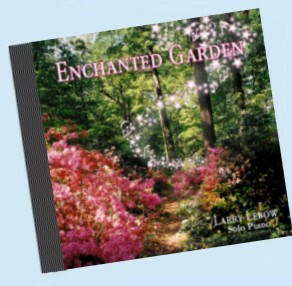 You are invited to enter and enjoy this "Enchanted Garden". Both of the above fantastic recordings, together at an irresistable price. Larry's beautiful and joyous first recording is also available on a good old fashioned cassette. It's a real bargin!